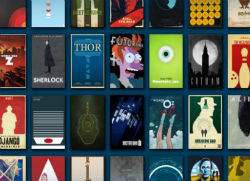 Exodus is one of the most-used Kodi addons out there, allowing users to obtain easy access to pirated movies and TV-shows. However, over the past week the same users were unwittingly part of a DDoS attack. After the issue raised eyebrows in the community, the Exodus developer rolled back the malicious code and retired. Millions of people use Kodi as their main source of entertainment, often with help from add-ons that allow them to access pirated movies and TV-shows. One of the most popular addons is Exodus. The software is maintained by “Lambda,” who’s one of the most prolific developers in the community. Exodus is widely praised as one of the most useful addons to access streaming video, including pirated movies and TV-shows. This prominent position also brings along quite a few adversaries, which recently led to an unusual situation. Due to the controversial nature of his work, Lambda has always preferred to remain anonymous. However, he was recently confronted with some people who copied his work and/or threatened to expose his real identity. But instead of backing down, he launched an attack. Roughly a week ago several lines of code were added to the Exodus plugin, which contacted external sites. While this is nothing new for Kodi addons, in this case the lines in question were targeting resources of Lambda’s adversaries. Soon after people started to notice, complaints started rolling in accusing Exodus of creating a DDoS “botnet.” The Ares Blog mentioned the issue and a lively discussion started in the TV Addons forum, where the developer himself joined in defending his actions. Lambda says that he added the code as a countermeasure against people who he believes are trying to do harm or get him in legal trouble. The users themselves are not harmed by the code since they are simply trying to access another web source, he adds. “Like I said they try to find my identity and give me legal trouble. I have no choice but to protect myself. If this won’t help me to defend myself I will retire from all these and focus on my legal addons,” the developer notes. While some people sympathized with the move, Lambda eventually decided to make the “protection” feature optional. Still, that didn’t satisfy everyone and soon after the developer decided to throw in the towel and retire. “I just couldn’t deal with all this stress anymore, I made bad decisions that I shouldn’t take and I am sorry about that,” Lambda explains in a formal apology. “I think this is the time for me to leave, this whole thing is changing me as a person, so it’s time for me to take care of myself and leave this scene once and for all,” he adds. TorrentFreak reached out to TV Addons repository which offers the Exodus addon, and they told us that the malicious code is no longer present. They are very unhappy with the incident and say they did their best to resolve the matter as swiftly as possible. TV Addons has previously published a malicious code policy and says it takes an active stance against this type of abuse. As such, the team has taken it upon themselves to continue the development of Exodus, with Lambda’s approval. “Moving forward, his addons will be maintained by another member of our team. TV ADDONS stands for the end user first, integrity is of our utmost concern,” Eleazar notes. As for Lambda himself, he plans to continue his work on other projects. “I want to thank everybody who stood by me all these years. It’s time for me to move on and I hope the team to take over my beloved addon. Take care everybody,” he concludes.